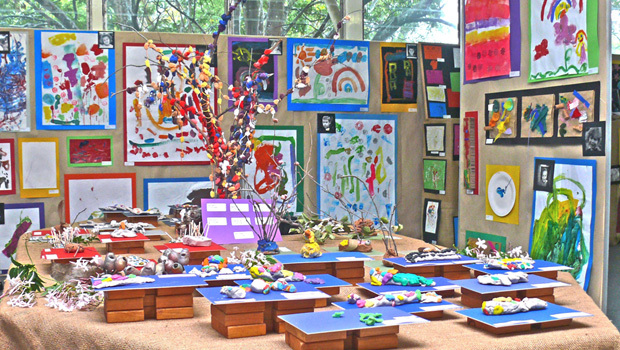 Chapel Hill Community Kindergarten is holding our annual Art Show, Open Day & 50th Birthday Celebrations on Saturday 13 September 2013 from 9am - 2pm. Our Annual Art Show is a celebration of children's expression and creativity. Come and see our kindy transformed into a beautiful and joyful display of our children's art and creations. The Art Show is a great opportunity for families to meet our teachers and explore our wonderful centre which is nestled in leafy, natural, spacious surroundings providing an engaging, peaceful environment for learning. Everyone is welcome family, friends and the local community and neighbours, we will have a coffee cart and cup cake stall and Jazz band. Waiting list application forms will also be available.